This home is big in all the right places. The great room, master suite, and lanai are all very large and accommodating. The guest room area can be closed off to form a guest or in-law suite, and the guest bath doubles as a pool bath. The master suite has a spacious walk-in closet and features french doors leading out to the lanai. Designed with a formal dining and a cozy nook, both of which are easily accessible from the kitchen area. 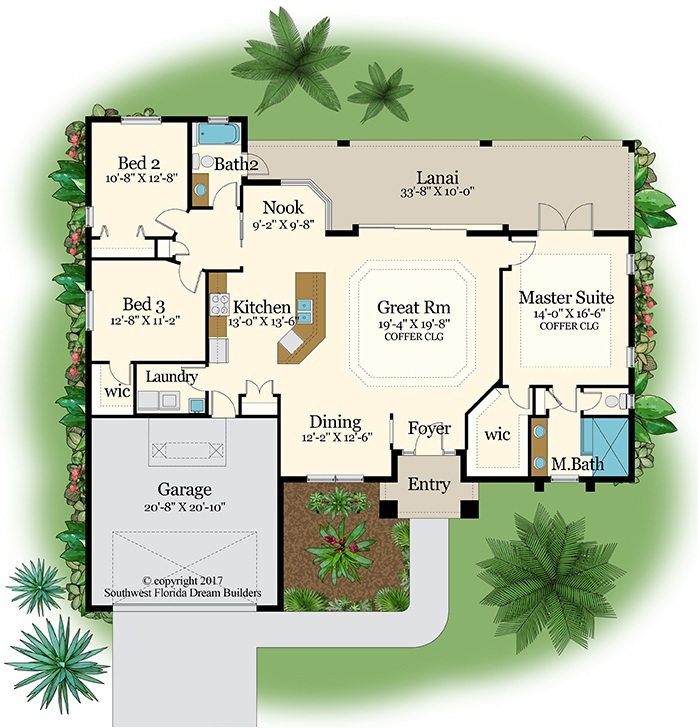 This plan is sure to meet the needs of any open floor plan lover. Want to discuss your Dream Home?